Want to track your learner’s PECS use on an iPad® or Android™ tablet? 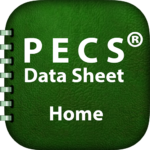 Pyramid Educational Consultants has partnered with Operant Systems Inc. to make it possible to track data for all 6 phases of PECS in real time with two new apps, PECS Data Sheet-Home & PECS Data Sheet-School! PECS Data Sheet-Home allows for tracking data for one learner while PECS Data Sheet-School allows for tracking data for up to 8 learners. Both apps are available for purchase from the Apple App Store or Google Play. 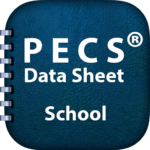 Download the User Guide for PECS Data Sheet-Home and PECS Data Sheet-School here. For more information or for app support please contact Operant Systems Inc. at support@operantsystems.com or +1 718-544-5600 or visit their website at www.operantsystems.com.